What remains standing today of Temple of Olympian Zeus serves as a testament to the grandeur of ancient Greek architecture. Built over several years and completed in 456 BCE, the temple was dedicated to Zeus, the king of the Olympian gods. Badly damaged by both fire and earthquakes, much of the temple is in ruins, but some columns still stand. At 10.5 m tall (34.4 ft) and 2.25 m (7.4 ft) in diameter, the columns were built of local limestone and covered in white stucco. Admission is included in the ticket to the nearby Acropolis. 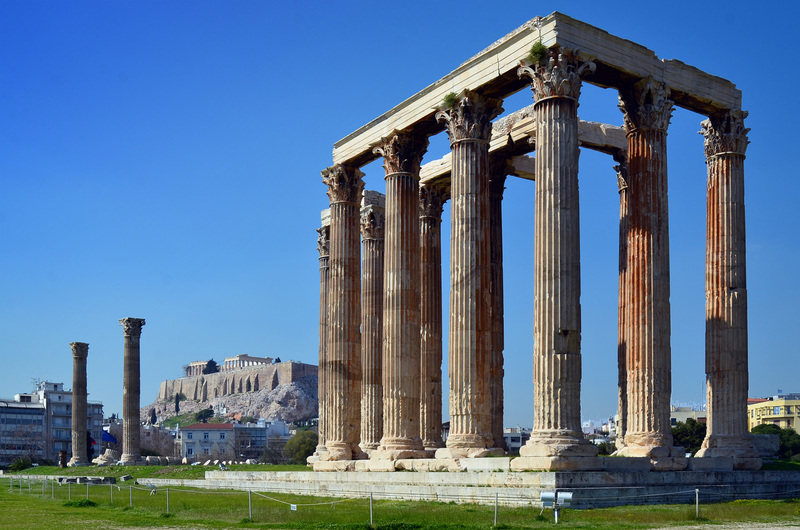 Put Temple of Olympian Zeus into our Athens day trip planning tool and find out what's close by, where to stay, and where to head next. An impressive site to see. Until you are actually there you do not appreciate the enormity of the stone columns. They are huge in size and tower above you like a modern tower block. The man power to do those thousands of years ago must have been immense. Very much worth the visit!! !